Indiana University holds one of the largest and most diverse collections of motion picture film at any university in the United States. Now, thanks to its continuing partnership with Memnon Archiving Services, a Sony Group Company, many of those films will be preserved for future study and viewing. 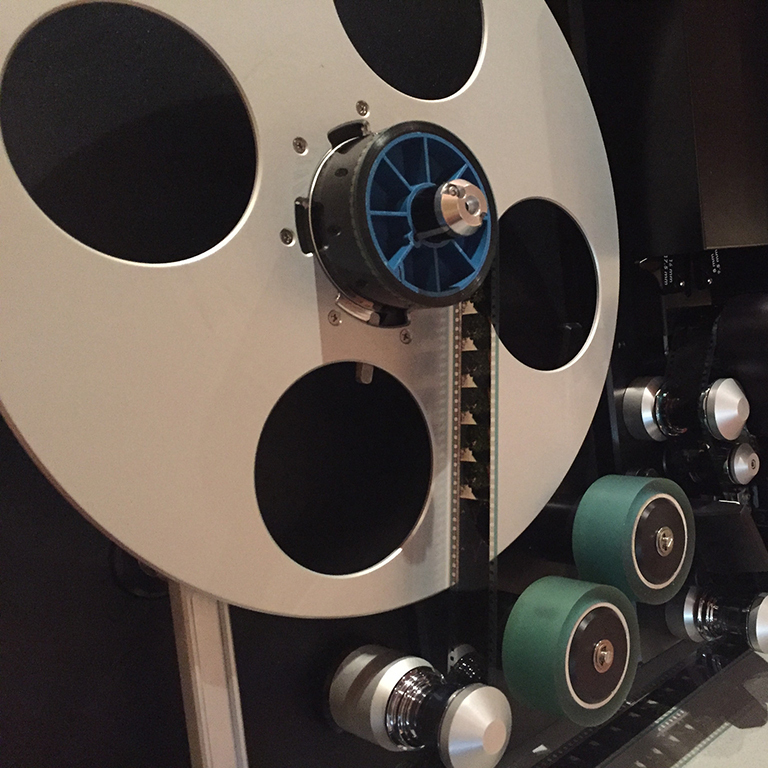 Officials with IU's Media Digitization and Preservation Initiative have announced the initiation of Phase II: the digitization of approximately 25,000 film reels to be completed by 2020, the university's bicentennial. This represents one of the most ambitious programs of film digitization anywhere in the world. "Through the digitization of IU's unique, invaluable and irreplaceable film collections, we will ensure that these historic and rare materials remain available to the broadest possible audience and that they are preserved forever," IU President Michael A. McRobbie said. "These collections contain material from a wide range of academic disciplines and genres, and they represent an investment in research and scholarship at IU, spanning many decades, by the state of Indiana, foundations, businesses and the people of our state. "This initiative will also further strengthen IU's position as a major center for sophisticated high-volume media digitization and preservation work for scholarly and research collections, work that is made possible through an extensive information technology infrastructure involving mass storage systems, high-speed computation and extremely fast networks." In 2013, McRobbie announced the creation of the Media Digitization and Preservation Initiative, which he charged with digitally preserving and providing access to all significant audio and video recordings on all IU campuses by the IU Bicentennial. Indiana University selected Memnon as a project partner after a global search for the best solutions in digital preservation. In 2015, Sony acquired Memnon, enhancing the resources, knowledge and reach of the company to the benefit of IU and other customers around the world. "The data scale for the IU film project is remarkable in the digitization world," said Baku Morikuni, co-CEO and head of Sony Media Lifecycle Service. "The sheer number of films, combined with the size of the high-quality digital files, puts the data we'll be processing in the tens of petabytes." The Media Digitization and Preservation Initiative is now located in the Innovation Center on the IU Bloomington campus. In April 2017, the project had outpaced its own timeline projections, with more than 200,000 priceless audio and video recordings already preserved for future generations of scholars and students. Preservation-grade copies -- whether audio, video or film -- are housed in the IU Data Center and made discoverable through the work of experts at IU Libraries, including extensive metadata creation and investigation of relevant copyright considerations. The media will then become digitally accessible, primarily though the IU Library's Media Collections Online. "Preservation is the oldest and perhaps most fundamental mission of libraries," Ruth Lilly Dean of University Libraries Carolyn Walters said. "We are fortunate to have such excellent partners for this important work. Once digitized and described, sharing these extremely valuable films with researchers becomes, in some cases, possible for the first time. We can pre-empt deterioration and loss while at the same time increase lawful access and impact of the collection." Media Digitization and Preservation Initiative leaders are preparing to address the significant IT challenges presented with Phase II. "This effort is only possible when outstanding moving pictures expertise is combined with strong IT support," said Dennis Cromwell, initiative executive director. "IU is a leader in the use and application of information technology, and that leadership is needed to establish the IT environment to move nearly 30 terabytes of data every day into our data archives." "From the beginning of the MDPI project in 2015, there has been an attitude of collaboration between all the units at Indiana University and Memnon, allowing us to continue to innovate and exceed our digitization goals," said Michel Merten, Memnon co-CEO and founder. "The film project is no different, and we are honored to continue our partnership to help preserve Indiana University's vast collection."